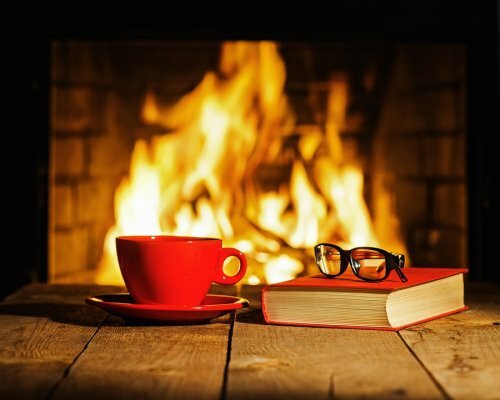 When your fireplace breaks during the chilly winter months, you will want to have it repaired as quickly as possible. If you are in need of gas fireplace repair, do not hesitate to contact Wright Lighting and Fireside . As a top rated fireplace contractor in San Jose, we are able to provide homeowners with swift and efficient repair services. You can also trust that we will use the right tools and techniques to restore your fireplace to working condition. Our company is able to work on fireplaces that are powered by electric, gas, or conventional fuel sources. With nearly 60 years of experience in the local area, we have the experience needed to diagnose what precisely is causing your fireplace issue. When you start to notice that your gas fireplace is having trouble burning fuel, be sure to act fast and give us a call. We can send a qualified technician to your house and get your fireplace back in working condition in no time. The LED light bulb has revolutionized the way that we light our homes and commercial spaces. In this video, you will learn a brief history of how the Light Emitting Diode was invented, as well as how this unique type of light bulb works. An LED light bulb contains a diode, which is a simple semiconductor. Electrical current causes the diode to light up, thereby creating the core of the LED bulb. A contractor that offers LED lighting in San Jose can help you install new lights throughout your home. There are many benefits to converting to LED lighting. LED lights are more efficient than incandescent bulbs, so they can help homeowners save money. Your LED light bulbs will also burn for thousands of hours before they need to be replaced. New bathroom lighting can transform a cold, uninviting space into a cozy oasis. When you are embarking on a bathroom remodel, you may want to work with your LED lighting specialists in San Jose to create a new lighting installation for your bathroom. Bathroom LED lighting will help you save electricity and provide you with many different options for fixtures and installation locations. To help you create the bathroom lighting design of your dreams, here is a look at some popular bathroom lighting options. Your bathroom vanity provides you with a mirror and counter space as you get ready for your busy day. In order to make sure that you enjoy looking into your bathroom vanity mirror, you will want to make sure that this space is well lit. Ideally, your vanity will be illuminated by an even lighting design, such as wall sconces on either side of the mirror. Wrap around vanity lights are another great option for this area of your bathroom. The tub or shower in your bathroom is one of its central focal points. As you are planning out your bathroom lighting design, you will want to consider whether your tub or shower is properly illuminated. LED light fixtures will bathe the tub or shower in soft light, providing fantastic illumination for your daily routines. In a shower stall, you may want to save space by installing recessed lights that are built in to the ceiling. 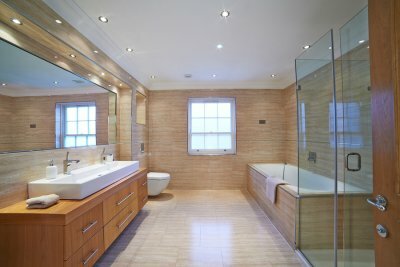 Overhead lighting is another important feature for any bathroom. Your overhead lights will be used to illuminate the entire room. To make a statement with your new bathroom lights, you may want to choose a unique piece, such as a chandelier or pendant light. Your statement light should echo the overall design scheme of your bathroom. For example, a sleek and streamlined pendant lamp will pair beautifully with a contemporary bathroom design.